BERLIN -- BMW earned record per-car profit in the second quarter, helped by growing wealth in China, a rebound in U.S. spending and demand for the 5-series sedan. BMW generated the highest profit margin of the top three luxury-car makers, with its auto unit posting earnings before interest and taxes equivalent to 14.4 percent of sales, up from 9.6 percent a year earlier. That beat margins of 11.8 percent at Audi and 10.7 percent at Daimler AG's Mercedes-Benz. "For an analyst who's covered BMW for 11 years it's amazing to see this level of earnings," said Max Warburton, a London-based Sanford C. Bernstein analyst. "At no point in the past would it have been imaginable that this company could make margins of this level." Demand for the revamped 5 series and X3 sport-utility vehicle helped the maker of BMW, Mini, and Rolls-Royce models keep its high-end segment lead. Deliveries this year of the 5 series have jumped 80 percent and the X3 has more than doubled, fueling an 18 percent rise in the BMW brand's first-half deliveries. Audi, which passed Mercedes this year and aims to topple BMW by 2015, also boosted sales 18 percent. "We are producing at the limit" and the waits for some models like the X3 are "too long," said BMW CEO Norbert Reithofer. 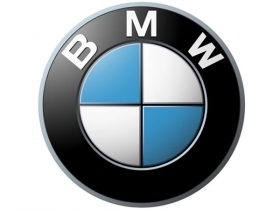 BMW's second-quarter Ebit climbed 66 percent to 2.86 billion euros, the Munich-based carmaker said today. Profit beat the 2.3 billion-euro average estimate of 17 analysts surveyed by Bloomberg. "This is not a one-time event for BMW," said Arndt Ellinghorst, a London-based Credit Suisse analyst. "They have the strongest product lineup and best execution in the market." Germany's luxury-car makers are ramping up production to satisfy growing demand in China and rebounding spending in the U.S.
BMW raised its 2011 profit and sales forecasts on July 12, citing strong demand for its vehicles. The company today said that ebit at its auto division will exceed 10 percent of revenue in 2011, excluding one-time effects. Sales are projected to rise to more than 1.6 million vehicles. But growth rates will slow in the second half because of lineup changes, the carmaker said. "From today's perspective, it seems unlikely that we will be able to maintain the high ebit margin of the second quarter through the rest of the year," Chief Financial Officer Friedrich Eichiner said. The increase in deliveries declined to about 7 percent in July and growth will likely be slower overall in the second half because of lineup changes and higher deliveries a year earlier, the carmaker said. "Global risks continue to increase rather than decrease," said Reithofer. "Concerted action of the international community is required to be able to maintain economic and financial strength worldwide." BMW will introduce an overhauled version of the 1 series compact in September in a bid to outsell Audi's A3. Model introductions will add about 500 million euros to expenses in the final six months, Eichiner said May 4. Spurred by rising wealth in China and rejuvenated U.S. spending, BMW, Audi and Mercedes have been struggling to meet surging demand for German luxury cars. Mercedes raised its sales target for 2011 to 1.35 million vehicles from 1.3 million on July 27 and said production bottlenecks were restraining deliveries. BMW is looking to hire 2,000 people this year to add capacity in emerging markets and fend off Audi, which has outsold Mercedes this year and aims to overtake BMW by 2015. The company is also considering building two new factories in emerging markets to satisfy growing demand. BMW is expanding its lineup to reach a goal of selling more than 2 million cars and SUVs annually by 2020. Last week, the carmaker unveiled concept versions of the i3 electric city car and the i8 hybrid supercar. A Mini coupe will also be introduced this year.